Contents: A microwave with an opening door, an extractor hood, a cooking hot plate, a sink, a fridge with an ice dispenser and a washing machine and 14 kitchen accessories. This bright and colourful Molto Kitchen has all you need to have lots of fun in the kitchen. Molto Kitchen encourages imaginative role-play. 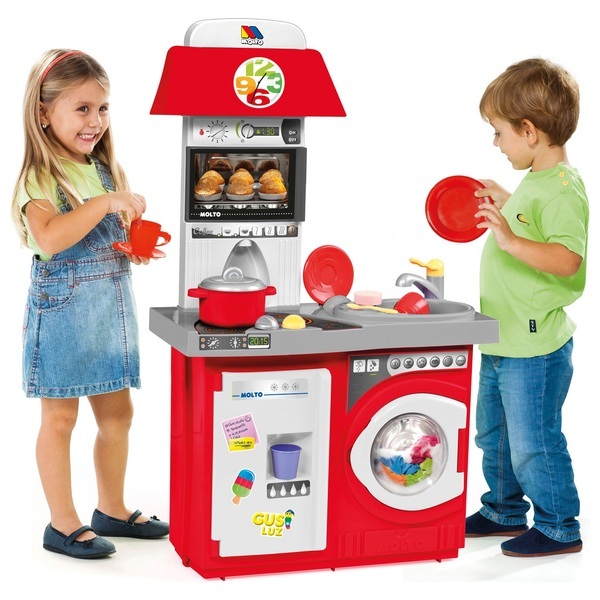 Cook a pretend meal on the pretend hot plate and clean your clothes in the pretend washing machine. Pretend play is a great way for children to develop their imagination whilst imitating grown ups.